I stumbled upon this site that lists: “25 powerful reasons to eat bananas”. I am already eating a banana a day, but with compelling reasons like, “Bananas, make you more alert, they provide relief from heartburn and stimulate growth of friendly bacteria, I immediately decided to double my banana intake, so instead of buying seven bananas for the week, I bought fifteen. I was hyped up and excited. I looked forward to being more alert and having an extra punch of energy to boost the daily ‘brisk one-hour walk,’ but by midweek, I was going bananas over the bananas. By the end of the week I had five bananas left. They were overripe and dotted with black spots. I made banana pancakes for breakfast, but I still had three bananas left. 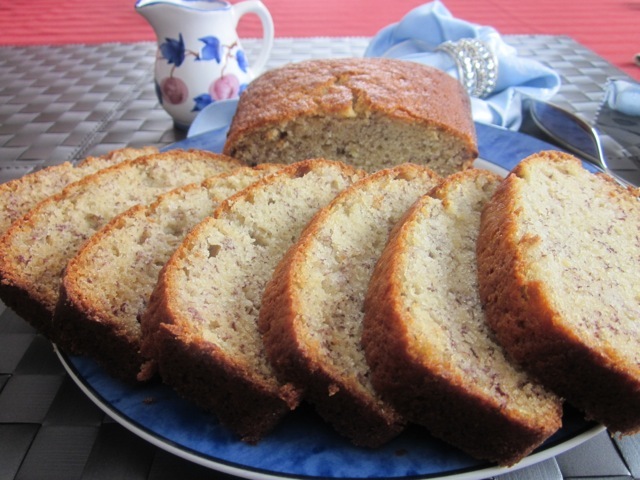 Today I will share with you the recipe for “Banana Walnut Loaf”, made with the last three, overripe bananas. 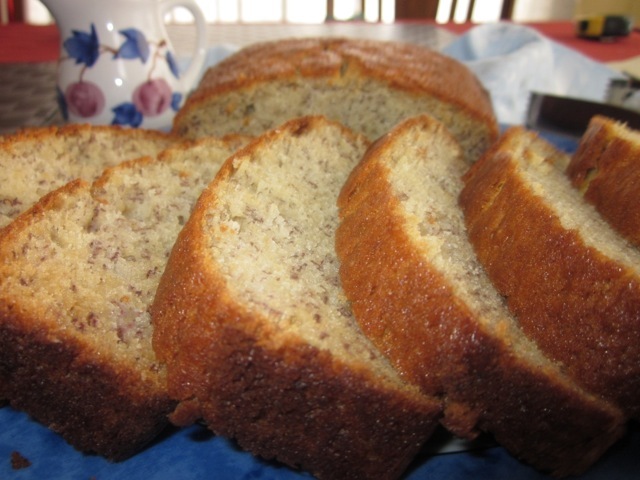 Perhaps I should just make a super-humongous banana loaf and eat one slice daily. But then, I would have to probably freeze it! Always remember to assemble all ingredients before starting. 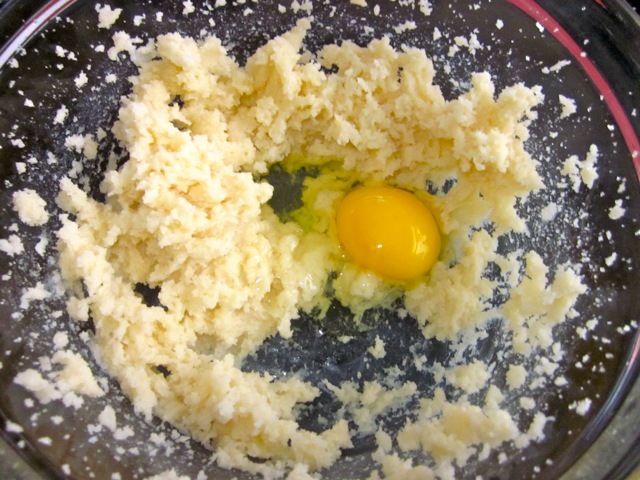 Add the first egg and beat until combined. Stir in half the banana with half the flour and half the walnuts. 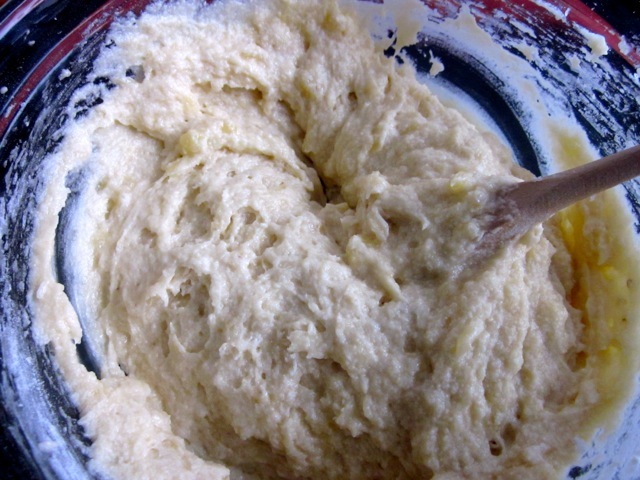 Stir in remaining banana, flour and walnuts, stir until just combined. Spread mixture into the prepared pan. Bake at 360°F (180°C) for about 45-60 minutes. Stand for five minutes before cooling on wire rack. 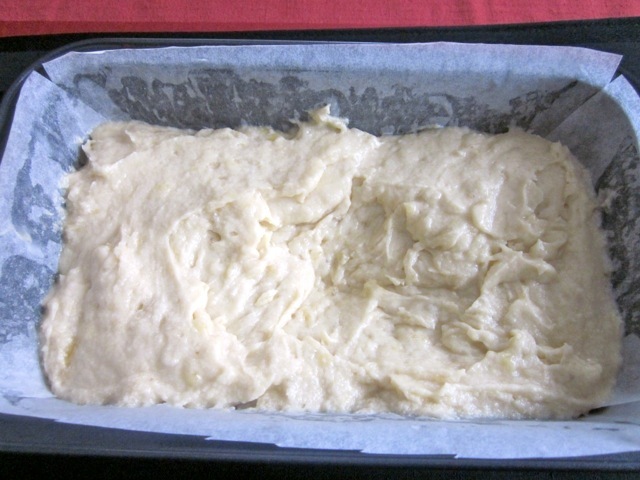 Grease a 23cm x 13cm (9 x 5 inch ) loaf pan. Line the base with parchment (grease-proof) paper. 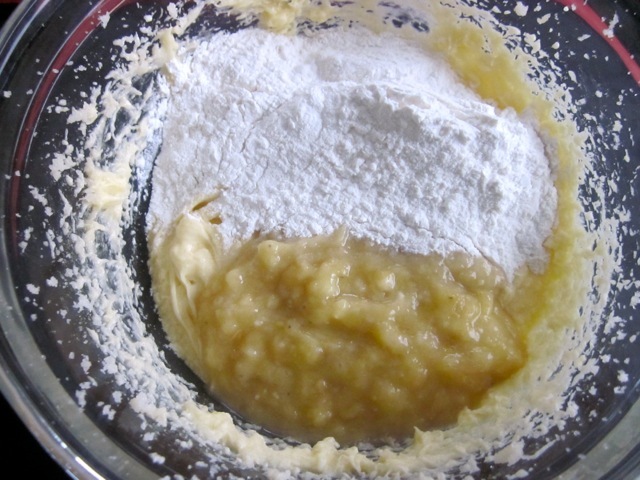 Sift the flour, baking powder and baking soda and set aside. 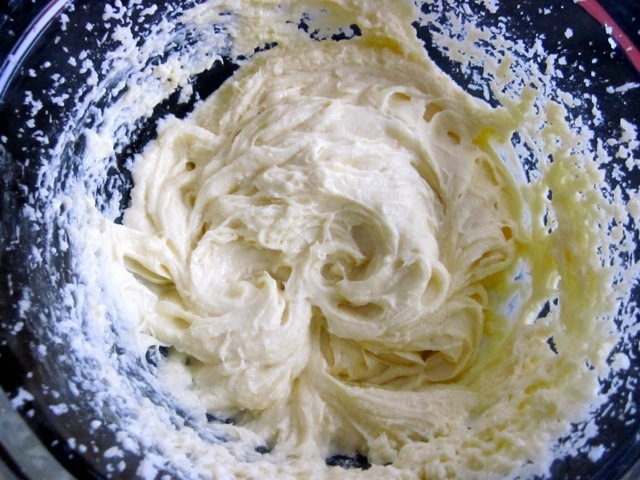 Cream the butter, vanilla essence and sugar with an electric mixer until light and fluffy. 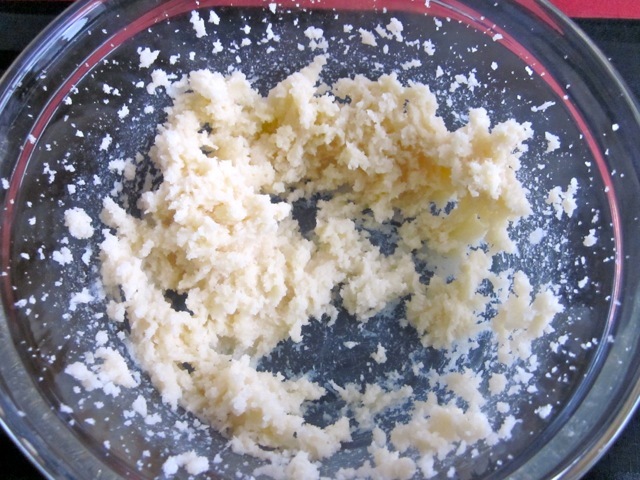 Add the eggs, one at a time, beating until combined. Spread mixture into the prepared pan. Bake at 360°F (180°C) for about 45-60 minutes. Stand for five minutes before cooling on wire rack. Serve with butter. Please note that oven temperatures are given as a guideline only. You may need to add or reduce the suggested temperature depending on your oven. I baked this cake at 360°F (180°C) for 50 minutes. If using the small sweet bananas use six to eight depending on the size. Hi, Liz! Oh my gosh, you have me laughing. I love that you had the best of intentions – and then started to “go bananas.” So, did the fruit help your walks? 🙂 I bet the extra potassium is great for the muscles. “I immediately decided to double my banana intake, so instead of buying seven bananas for the week, I bought fifteen.” HA! 🙂 So, I always buy a lot of bananas, as they are inexpensive in the US. Even the organic bananas are around $1 per pound. 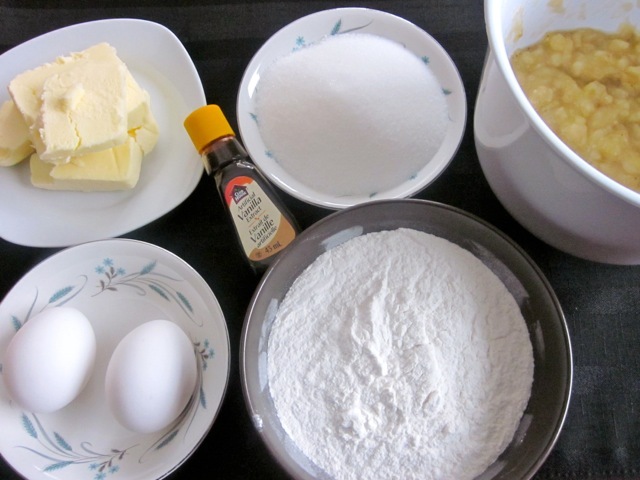 Guess what I will be making this weekend…? 🙂 Great post! 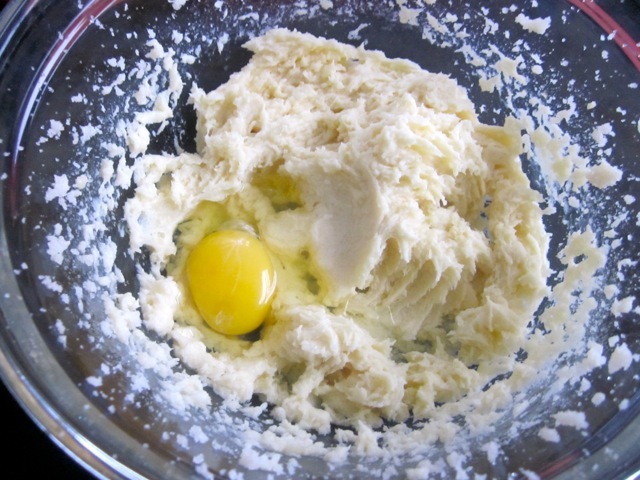 I love the step-by-step baking photos, too. Ha ha how hilarious. The “go bananas” thing was a two week affair that died very quickly. I’ve always had a problem eating a banana a day. Even now I have three that are turning black, and now I’m planning to eat three overripe bananas for my lunch today. However, I just bought another green bunch today….sigh. Thanks for making me laugh and reminding me of the good old banana days. Have a wonderful weekend!!! 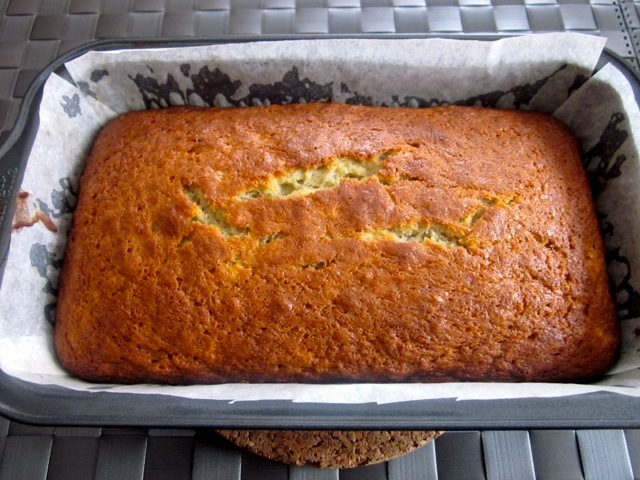 Oh, no – three bananas sound PERFECT for your recipe… I would opt for that. 🙂 You don’t want to go bananas. Have a great weekend as well, Liz! You know what? 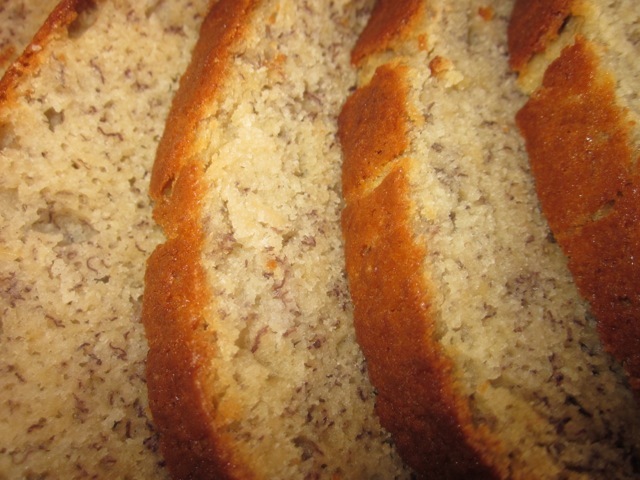 I have baked more than ten cakes this week alone, that’s why banana bread is not an option. I have a chocolate cake on the cooling rack right now. I have to take a break from baking. Have a great weekend! 3. Puree in food processor with unsweetened cocoa and a touch of honey or stevia. All your baking sounds amazing. I am getting hungry! ! ! I always have over ripened bananas in my fruit bowl. I shall try this with the next batch. Thank you so much for giving me this recipe. I’m sure I’ll like it. Will give you a feedback. Have a lovely weekend! Thanks. I shall try it with good cocoa powder! Hi Liz, thank you for visiting my blog. I went throught your blog now and I love it. It is very nicely written and you are making great photos. I started my blog this week so I also have to first learn everything. I think it is kind of complicated with the lay-out etc. I read few of your recipes and I am going to try some soon. The scones with cheese and chive look great! I wish you lots of success with your blog and lots of happy readers. Take care, Pavla. Thank you so much for stopping by, I really appreciate. My blog is only two months old and I’m still learning to do so many things, sometimes I get stuck and frustrated but it’s becoming much easier everyday. The best way to learn is by doing, so it’s good that you started a blog, you are soon going to find it easier as the days go by. I love your blog, it’s got beautiful pictures too, especially the roses. If you ever try a recipe, please give me a feedback. I wish you success too, I shall be stopping by to see how you are progressing. Take care too, and Happy Easter! 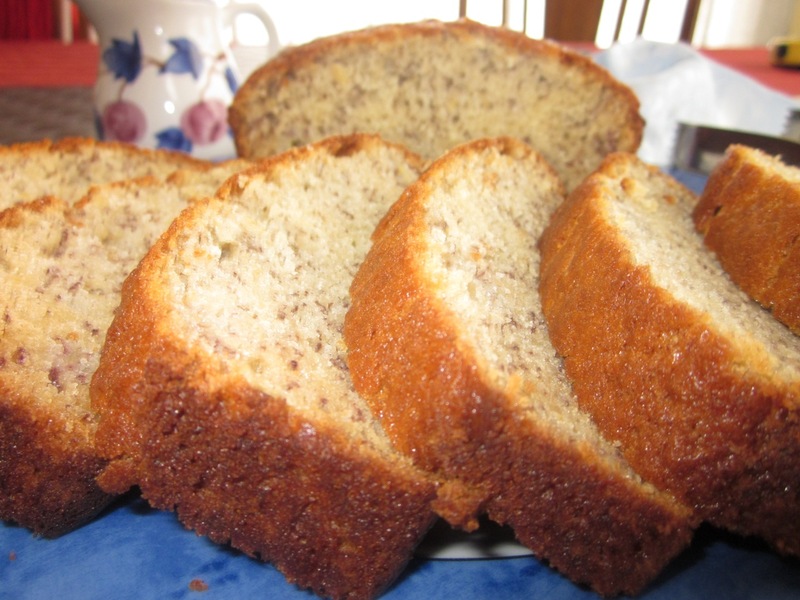 Banana bread/ loaves are my go to dessert if I want to make something quick and easy. I too don’t use walnuts, instead I use chocolate chips to give it a sweet taste. I must try this recipe with chocolate chips. Must taste awesome!! Thanks for your support!!! Thanks for supporting me!!! Tomorrow my blog will be one month old, exactly!! !